The Grotto, Busch Gardens. Photo by Wayne Thom, courtesy of USC Libraries. Busch Gardens, Van Nuys — A “theme park and tropical oasis” built on the grounds of Anheuser-Busch’s Van Nuys brewery grounds — opened in 1966 as a more modern version of the historic Busch Gardens in Pasadena. It featured boat rides, a monorail, and free beer and admission. The park was designed as a promotional experience. Ladd & Kelsey created a complete environmental design for Anheuser-Busch, replete with structures and grounds featuring indoor/outdoor Hospitality House pavilions, bird habitats, an amphitheater, monorail, and lagoon. 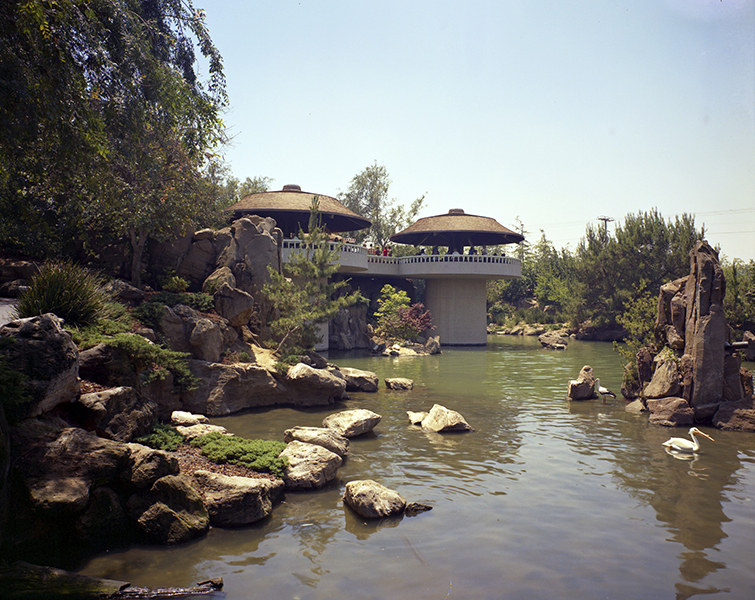 Busch Gardens would become one of John Kelsey’s favorite projects; he was especially proud of the Grotto, which he landscaped with massive rock pilings and waterfalls that plunged from above and below landscaped with massive rock pilings and waterfalls that plunged from above and below a pavilion into the navigable lagoon that traversed the park. Busch Gardens’ fate was secured by the growing popularity of ‘light” beer beginning in the 1970s. After a reopening as the Busch Bird Sanctuary in 1977, the project closed in 1979 and was demolished to make way for brewery expansion. Busch Gardens. 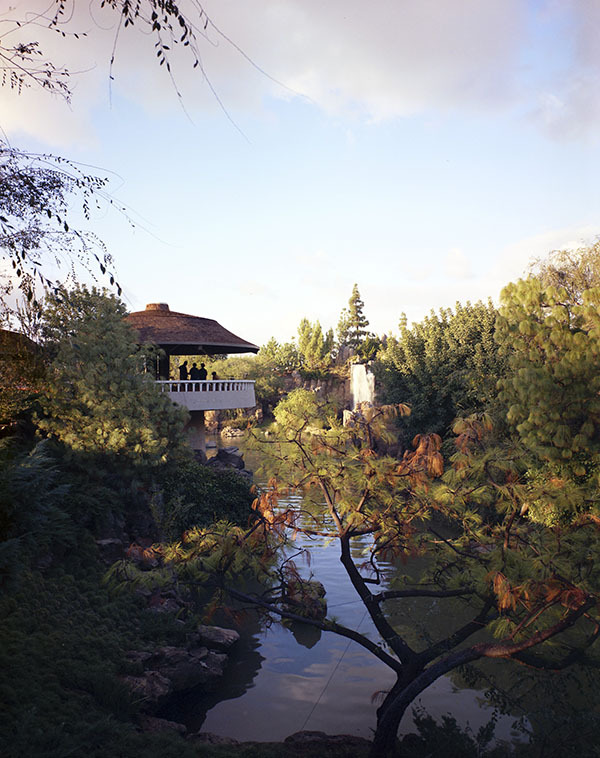 Photo by Wayne Thom, courtesy of USC Libraries.